Insights are at the nucleus of a successful marketing strategy; understanding your market, your audience, the sentiment behind your brand, is all essential to optimising your marketing and growth strategies. And the only way to get these insights is through social listening, monitoring your niche and brand, as well as your customers. 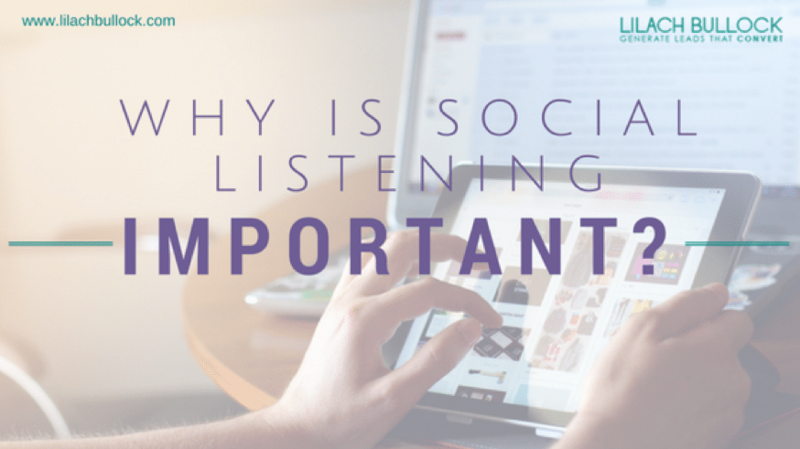 In this blog post, I’m going to show you why social listening is so important to your business. So, what exactly is social listening? It’s similar to monitoring – but it’s actually quite a bit more than that. While many use social monitoring to stay on top of brand mentions and relevant conversations, in many cases so they can engage with their audience as necessary, social listening is more complex; it’s a way to track specific topics, keywords, brands, niches, audiences across social platforms so that you can gather data. Basically, social listening is all about seeing the big picture so that you can identify trends. It allows you to better understand your niche and your target audience, see what types of content works best for your audience, and build better performing marketing campaigns, among others. 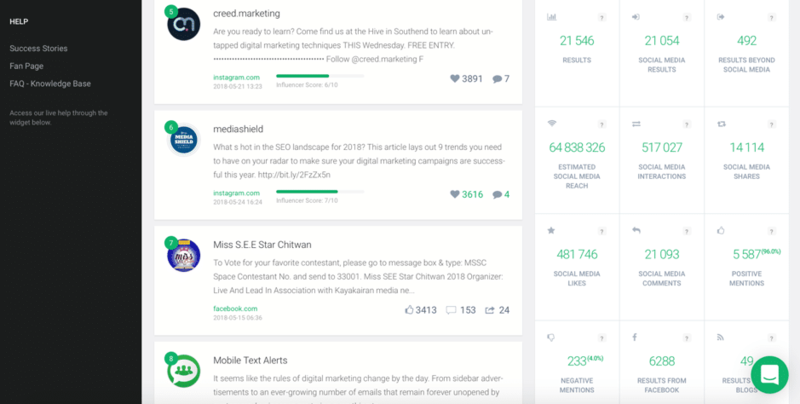 Why is social listening so important for SMBs? As I mentioned earlier, one of the most important aspects of a successful strategy is knowledge. And that is what social listening offers: a tool to help you gather knowledge about your niche and audience. Do you truly know what your audience likes? What information do they need? The best way you can truly understand what content resonates with your audience is through a combination of social listening and experimenting – creating different types of content to see which perform best. Social listening helps you find out exactly what topics and hashtags your audience uses most; meaning that you’ll then know exactly what you need to talk about and which hashtags to use in order to reach as many people as possible, while also offering them the type of content they want to see or read. One of the biggest benefits of social listening as a brand is that it allows you to track your brand across social channels and make sure you catch all mentions of your brand name and associated parties. And this is essential because you need to respond to mentions as soon as possible; for example, you need to acknowledge positive mentions and comments, as well as respond promptly to any negative mentions and especially to customer service questions or comments. Finding the right social influencers from your niche is not always easy; in most industries, there are a plethora social influencers with audiences of all kinds of sizes. The best way to identify the most influential people in your niche is to monitor the conversations happening surrounding relevant niche topics, as well as the most shared content. This helps you understand who are the most influential people, based not just on their number of followers, but also based on the engagement they get online. Another important use is to identify your brand advocates – the people who are talking about your brand, who are using your products and talking about them online in a positive way, and who are consistently sharing your content. It’s important to identify these brand advocates so you can reward them for their loyalty and, in some cases, so you can collaborate with them. Learning all of this information about your audience – the topics they talk about, the hashtags they use, the content they read, and so on – helps you build better digital marketing campaigns. That’s because top-performing marketing campaigns often focus on topics that are of huge relevance to their target audience. 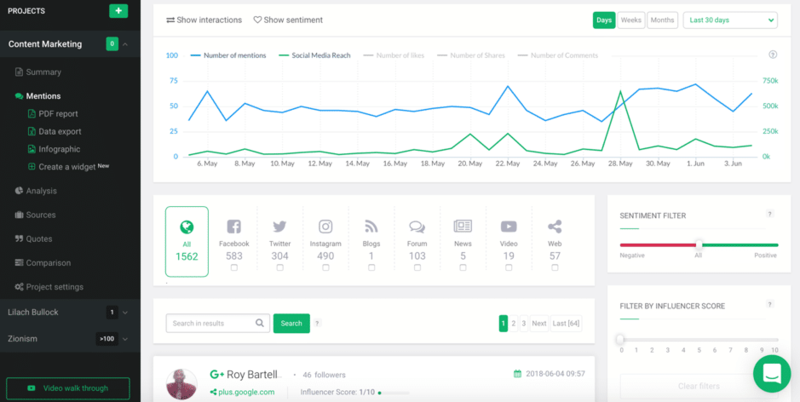 Social listening helps you uncover these topics by analysing all of the social conversations happening around a particular keyword or set of keywords. If you’re using social media for social selling, social listening is a must. If you’re not familiar with the term, social selling is finding and connecting with leads and potential prospects in order to build relationships and, ultimately, sell to them. In other words, social selling is all about finding leads and increasing your sales. So, where exactly does social listening come in? 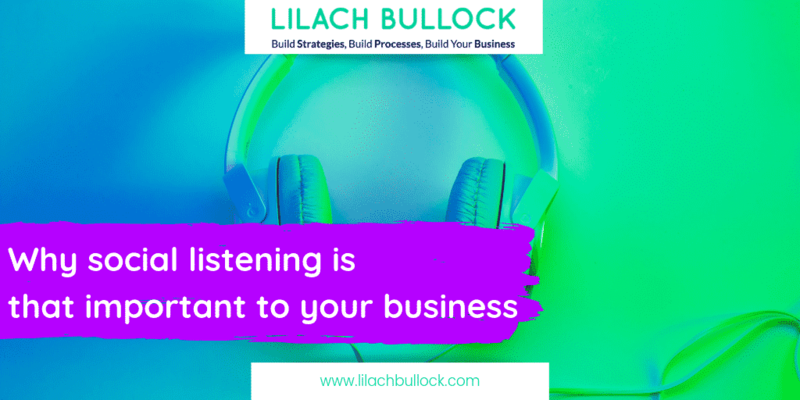 Simply put, listening is how you find these leads: by listening to conversations happening online about your competitors, your niche keywords, your products and services, and so on. This is how you find potential prospects which you can the connect with and start building a relationship to move them along the funnel. But, enough about why social listening is so important; now, let’s get into how exactly you can start listening like a pro. 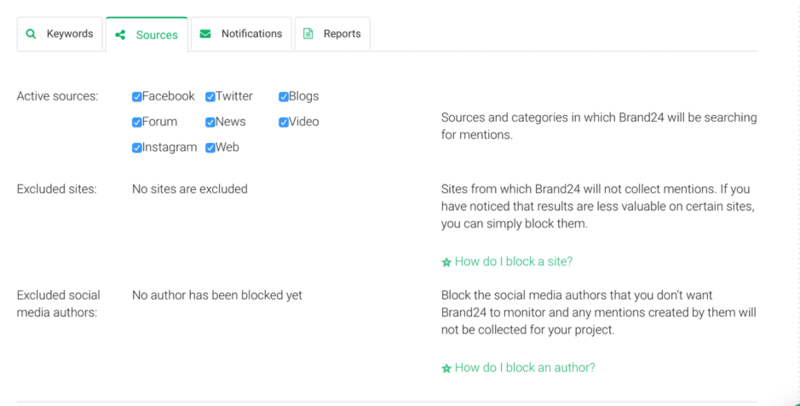 If you’ve followed my blog for a while, you might have seen me talking about Brand24, a social listening and web monitoring tool. 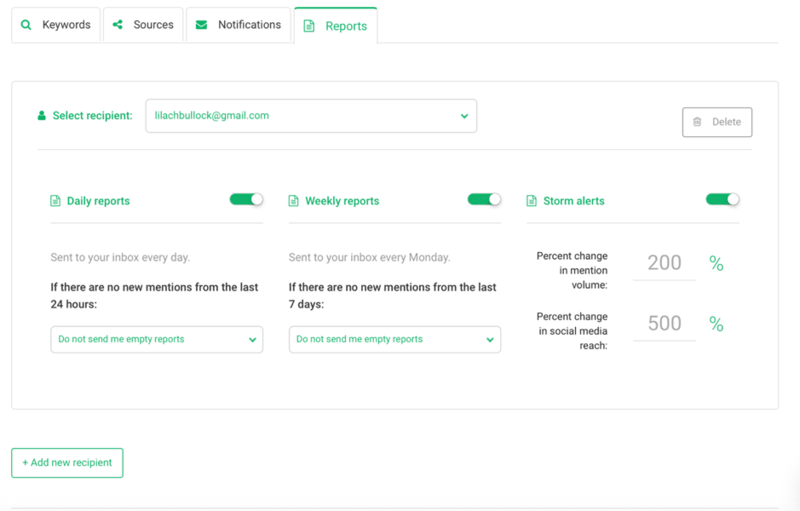 And since they’ve recently introduced a couple of very useful features, one in particular which I’m very excited about – tracking your mentions locations– I really want to tell you all about it. Because whenever I needed a social listening tool with geolocation, I found myself endlessly searching and never finding one that either had this feature or was accurate enough – which is why I find myself so excited about this new feature. And the other feature is just as exciting: the Live Customer Testimonials widget that allows you to demonstrate social proof and built up your credibility in a unique and highly engaging way. In short, Brand24, is a pro social listening tool. 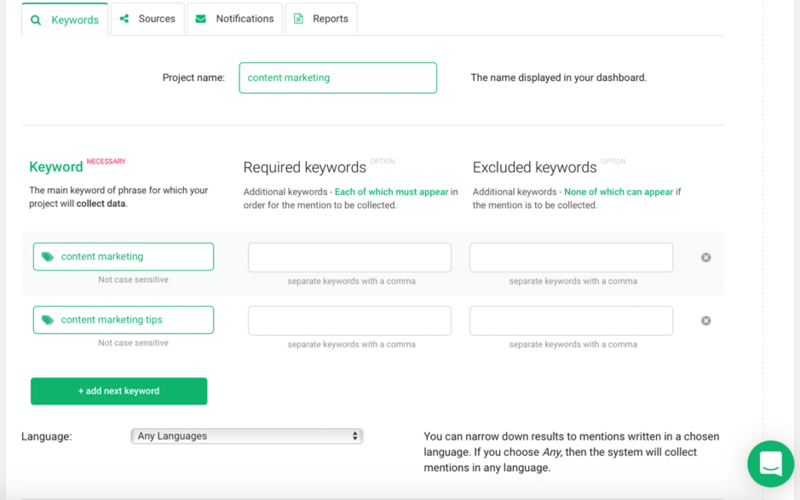 You can use it to look up any keyword you want in order to track different topics, conversations, keywords, people, and/or your brand in order to gather insights into your mentions and data. 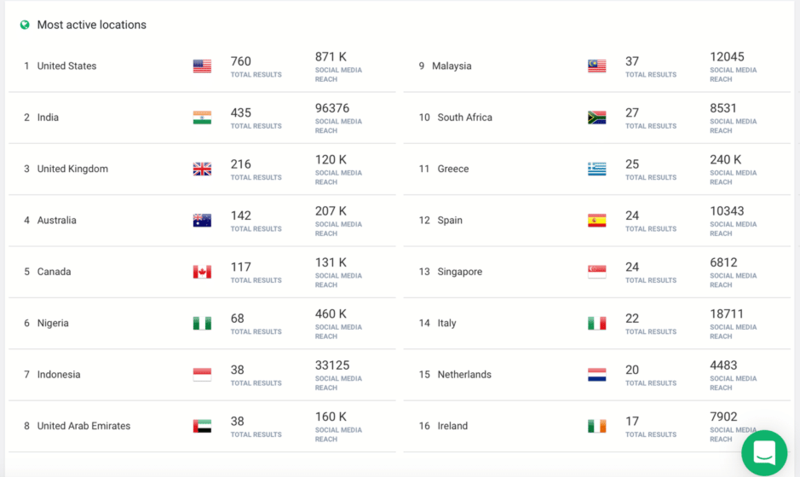 As you can see above, you can listen beyond social media and find out what people are saying on blogs, forum, in videos, as well as other web publications. And, if there are any websites or social media accounts that you want to exclude from your search, you can easily do so. 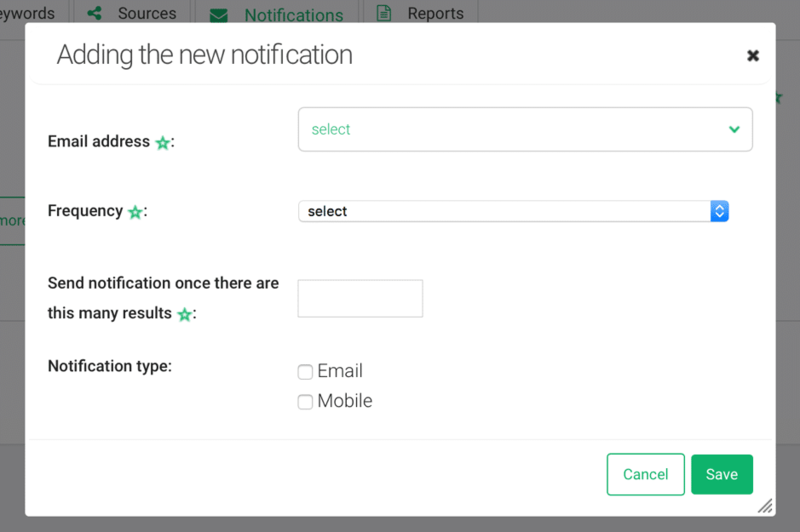 You can set up the notifications frequency (or you can get notifications in real time, which is very useful for customer service) or only get notifications once you get certain results; plus, you can add as many different notifications you want for each project and select whether to get them via email or directly on your mobile. 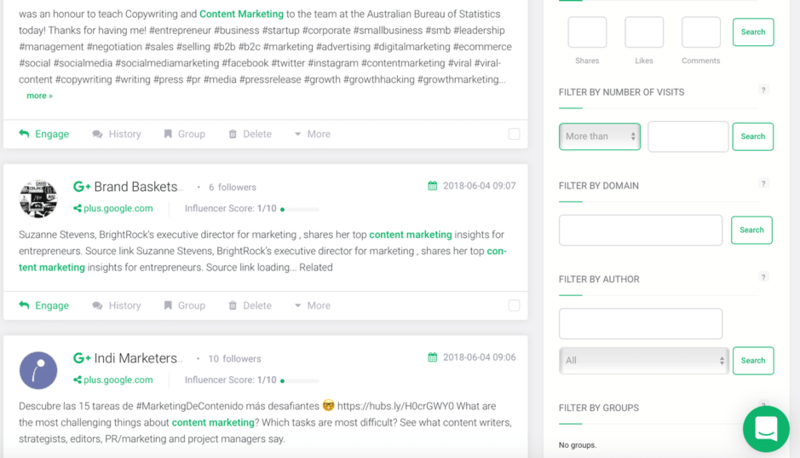 This is what your project dashboard looks like: an overview of the mentions, reach, and engagement, as well as a list of all the mentions pulled which you can filter through in a few different ways. And if you do find a mention you want to act on, you can easily engage, see a history of engagement for that user, and save and remove mentions. But it’s the analytics where you get to the really great stuff; this is where you can see what exactly this information means, especially if we’re talking about a larger project that has a lot of mentions. Based on your search and keywords, Brand24 will also pull up a list of the most influential and the most active social media users. 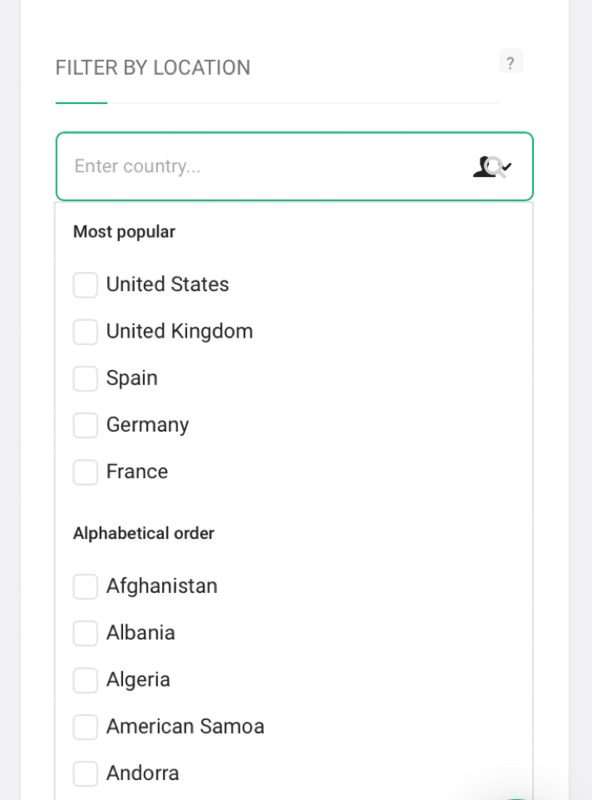 It will also tell you which websites were most active in terms of the number of mentions (useful for understanding where your audience is most active), what the most influential websites are (in terms of their visits), and the most active locations, including their number of mentions and their total reach. This is very helpful in a number of different ways. 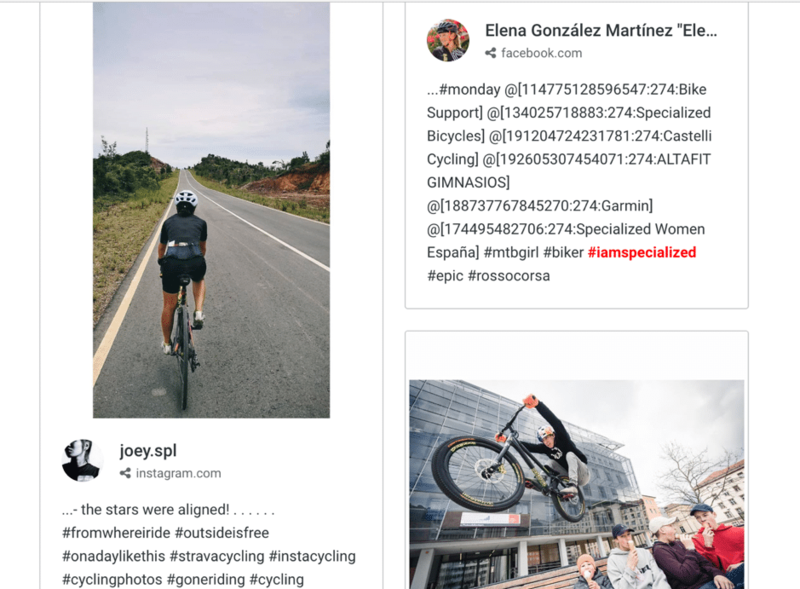 For example, if you’re tracking your brand mentions online, you can see at a glance what people are talking about when they mention your brand. Another way to use this is to understand what your audience are talking about online, beyond the topics and keywords that you searched for initially: which topics interest them, who they’re talking about, and so on. And finally, it can also help you find lead and sales opportunities; for example, if you look at the word cloud above, “help” is one of the words that was used a lot. What I can do is click on “help” to see all the mentions including this keyword (as well as the keywords I set initially) and see what opportunities I can find from people looking for help or who have questions that I can answer. Brand24 is a pro tool with a plethora of useful features; but there’s one new feature that I’m so excited about: locations. As excited as I am about the new locations feature, there’s one other recent feature that I’m very excited about: the Brand24 social proof widget. Testimonials and social proof are extremely important for businesses; it’s a way to prove to your leads and potential customers that you’re the best option for them: by showing them what others are saying about your brand and about your products and services. Testimonials help you establish your credibility as a brand (customers always put more weight on other people’s opinions of your brand and products/services, much more so than whatever you might say about your brand) and because of that, they also help boost your sales. What’s so great about these testimonials is that they appear much more authentic; they are real social media updates from real people and real clients, and they are updated automatically on your feed. And what’s more, your visitors can actually click on these testimonials and mentions and start engaging with that user via social media. So basically, you’re taking a tool that helps build up trust and credibility and you’re effectively giving it even more credibility and power by being more transparent with your social mentions directly on your website. Especially because people can actually click on a message to see the original one and to engage with that person. For example, if someone mentions trying out one of your products, your visitors can actually reach out to that client and ask them what they thought of the product or ask them other specific questions that will help them decide if your brand is the right decision for them. And while sure, they could ask you too, it makes more sense to trust an impartial party more than the person selling you something. If you have a Brand24 account, you can easily add the Live Customer Testimonials widget in minutes; with a front-end developer, you can customize the widget’s height and width and what’s more, you can also customize the colours to make sure it fits your branding and your website’s design: change the font, background, and mention colour to your liking. Social listening has a lot of benefits for SMBs; but, it’s better to look at it as a necessity, rather than an extra growth tool. Because at the end of the day, social listening is essential to truly understanding your audience and creating better digital marketing campaigns based on this knowledge, whether it’s choosing the right topics to talk about or the right social influencers to work with. Interesting article and I agree with Listening. Before the computer and social media was a figment of imagination we were listening to our base of prospects and customers. All that was ever needed is ASKING the right questions and listening effectively to the answers. Didn’t then and don’t today need a piece of software to manufacture concepts. Picking up the phone and calling, mailing real MAIL and effective e-mail marketing is still working. IF one LISTENS well and has NO presuppositions.